It's a widely accepted phenomenon that musicians from time to time borrow inspiration from each other to recreate magic. As seen and heard in much of hiphop. It basically is an art-form riddled with samples of other genres and many other pop culture influences. Even Nas once accused Jay Z of bitting his work to which Jigga replied, "Yeah you made it a hot line, I made it a hot song." Sampling in hiphop is acceptable but bitting is severely frowned upon. 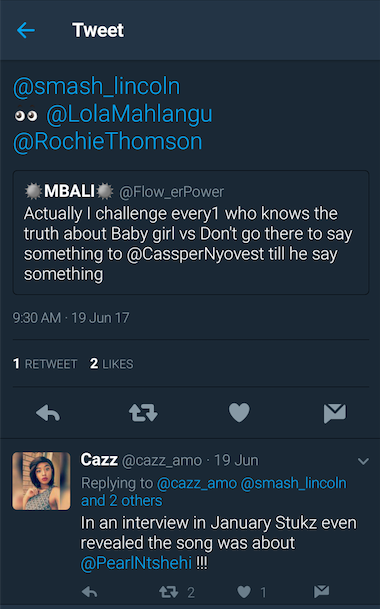 Every once in a while a disgruntled somebody will accuse a fellow musician of bitting them as was seen a few years ago when a Thembisa based rapper accused K.O. 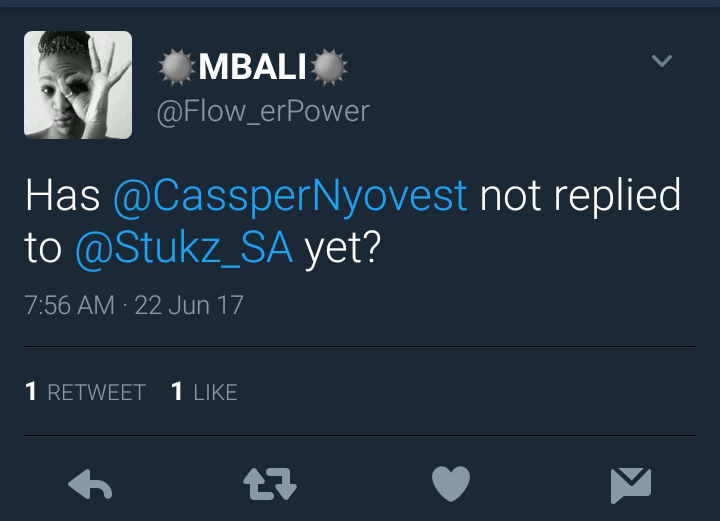 of bitting his Skanda rap style, yes a whole style nogal. 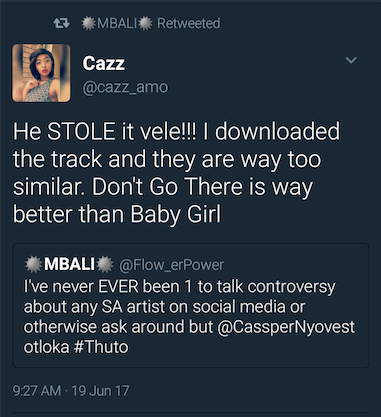 Now it has emerged that another Thembisa based up and coming rapper is accusing a famous rapper, this time around Cassper Nyovest, of biting his song. 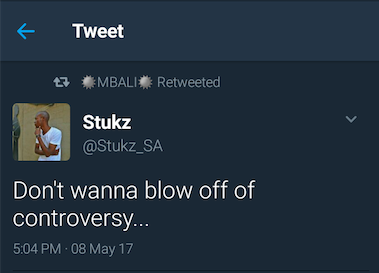 The rapper stated in his tweet that he doesn't want to blow up from controversy but his fans are not letting this go. As can be witnessed below. 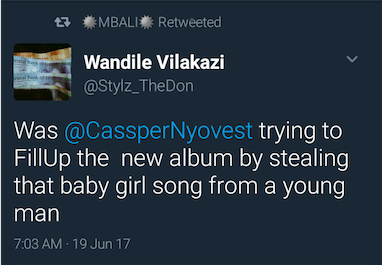 The rapper, claims to have released the song 'Don't go there' before the similar sounding song appeared on Casspers latest album, Thuto, under the title, "Babygirl". 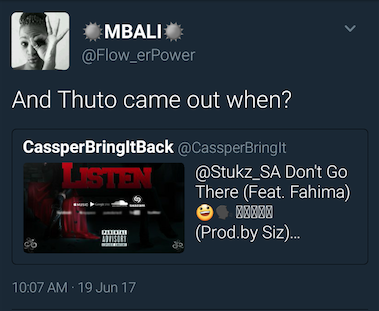 Listen to the two songs below and let us know what you think. So what do you think, who did it best? Rest In Peace Ray Phiri! Direct Song Uploads now a reality!